We here at P&PC have long suspected that there's an undercover army of poets in Hollywood and that, cloaked in the Mackintosh of Nielson ratings and prime-time broadcast slots, they've been sneaking all sorts of poems into people's everyday lives via tv shows ranging from Gunsmoke to Breaking Bad. Well, now we've got some hard evidence to back it up: Season 2, Episode 12 of the I'll-cling-to-my-traditional-honorable-manhood-in-an-ever-changing-world-because-what-that-ever-changing-world-needs-more-than-ever-is-traditional-honorable-manhood Western cop show Longmire. 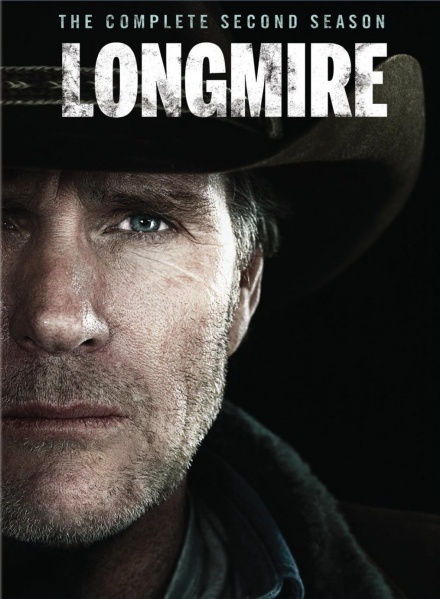 If you're getting the impression that we don't totally love Longmire, well, you wouldn't be entirely wrong. We're through the end of Season 2, and we're tired of the old-man-driven plot generally speaking. We don't like the show's treatment of the Cheyenne Indians all that much. And, truth be told, we wish the show were told from the point of view of deputy Vic or Henry Standing Bear and not Sheriff Walt Longmire. But whatever, right? We've watched it this far and, as the following's gonna explain, there's no way we're gonna stop now. First aired August 19, 2013, Season 2, Episide 12 telegraphs its literary ambitions via the allusion to Flannery O'Connor in its title ("A Good Death Is Hard to Find") and is then very neatly bookended by two poems, one a cowboy poem, and one a classic. And wouldn't you know it? It was written by real-life poet Tony Tost, author of the poetry collections Complex Sleep and Invisible Bride. 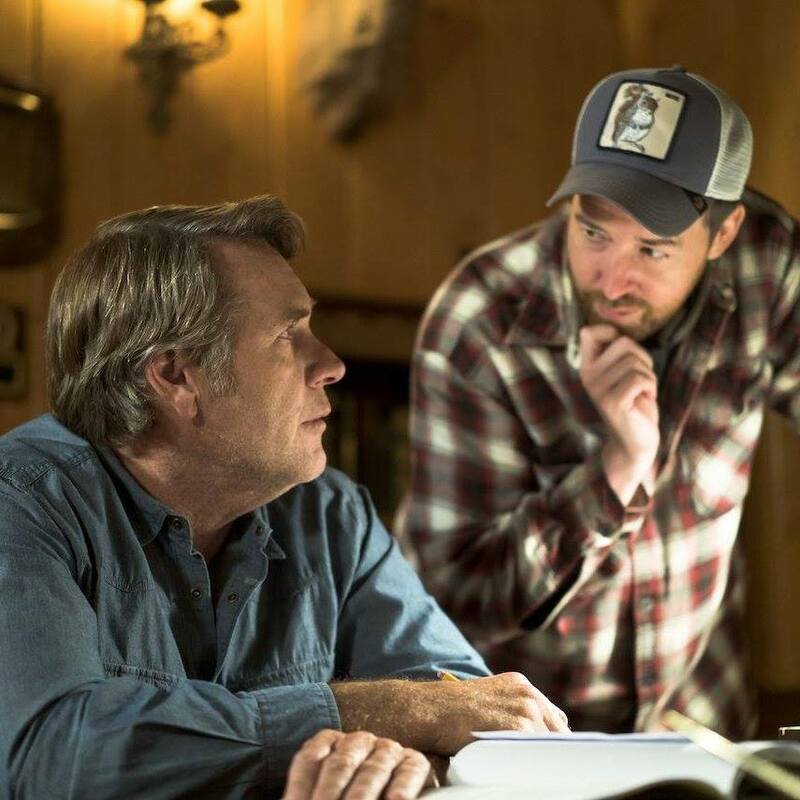 Tost (pictured in the ball cap here) is a regular writer for Longmire and first caught our eye with his allusion to Emily Dickinson in the title of Season 2, Episode 6 ("Tell It Slant"), which he also wrote. So, to a certain extent we could tell that the poetry of "A Good Death Is Hard to Find" was coming, and we've been keeping a lookout for it ever since. And now that we've found it, we're looking for more. Indeed, given both Tost's inclination to the poetic and Longmire's first name (Walt), we're fully expecting to get a Whitman reference somewhere on down the line, which would be, like, totally awesome, as it would allow us to tie Longmire to Breaking Bad and Mad Men in a series of three contemporary shows—indubitably a pattern!—all using variously brooding Whitmans to process their threatened masculinity. 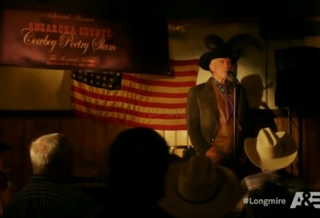 "A Good Death Is Hard to Find" opens with what a banner hanging in the back- ground calls the "Absaroka County Cowboy Poetry Slam" taking place at Henry's bar, the Red Pony Saloon ("and continual soiree"), which you can watch in the first clip below. The poem is by the town's sorta corrupt retired former sheriff, and some humorous scenes throughout the episode show him composing or practicing his poetry. 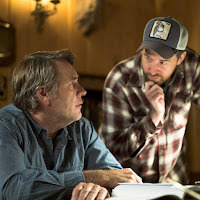 And the episode closes—the second clip below—with a scene in which Longmire quotes the Iliad in a downright poetic "get-out-of-town-before-sunrise" ultimatum he gives to Vic's stalker. So, the episode gives us two sheriffs, both with poems in their mouths: one a writer, one a reader; one sorta corrupt, the other of impeccable honor; one trading in popular poetry, one trotting out the classics. We don't really like how the popular-poetry math works out in this regard, but we'll nevertheless raise our glass—a toast for Tost!—and hope that Tony gives us that Whitman reference we're looking for to help make up for it. Self righteous social justice warriors. Exactly the type of people that wouldn't enjoy a great show like Longmire. Aren't you people late for a blm meeting, or an abortion clinic grand opening? Amazing that the author compliments the show and the writing while complaining about how it's not likable. Amazing that the author doesn't like Longmire (the character, the series, or--it seems--the writing). Amazing that yet; he watches the show episode after episode, he quotes from the script and compliments it while complaining about it, and his writing is diminished by comparison to the script he [secretly] wishes he had written! While the entire series is among the best of television, ever, the author doesn't understand it, so fails to appreciate it. If Longmire was a social justice warrior working as a junior high social studies 'teacher' in the inner city, this writer would love this show. But, set it placed it in flyover country, give the social justice warrior a badge and a gun, and "oops-we cannot like him--a questionable character propped up by his female co-star and "opps again--dimished by the native american character who is not portrayed as correctly oppressed by the white man. what drivel--the episode in question is one of the best single episodes of any show ever written, produced and broadcast. Watch is with captioning on to not miss a word; and by the end, you'll be wondering why the comment author here pretends to not like it. Oh, and BTW, the Poetry is FANTASTIC. Who was LONGMIRE talking about at the very end in the motel room of this episode? Kilys? Or some poet or write from 3000 years ago? Who exactly was he talking about?